Reveal all the secrets in new breathtaking game under the title Phantasmat: Crucible Peak! For years you have been dreaming of going to the Alps on a ski trip, but your long-awaited trip turns into a nightmare. Many years ago, the resort town has been destroyed by the avalanche and since then weird things keep happening. People turn into cold and no one knows how put everything on its place. Maybe it will be you? Download right now and totally for free the game Phantasmat: Crucible Peak and uncover the truth! 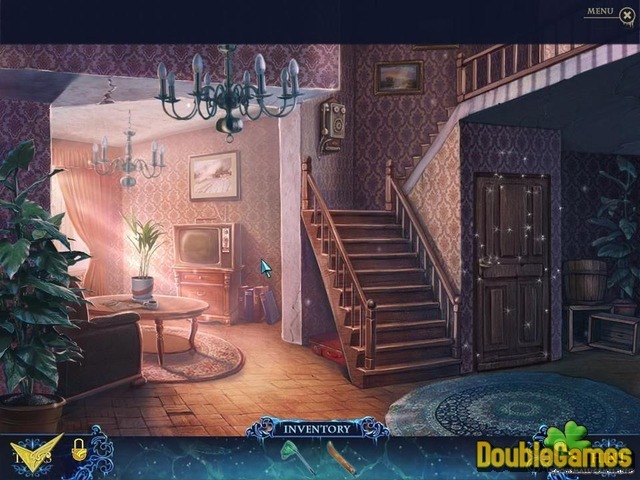 Title - Phantasmat 2: Crucible Peak Collector's Edition Game Download for PC and Mac Description - Discover Phantasmat 2: Crucible Peak Collector's Edition, a Hidden Object game devised by ERS G-Studio. Find out what happened many years ago and save the town! So! Superb cut-scene, more like a movie action with excellent voice acting, just grabs you and throws into the thick of the action! You have not a banal dream: to go skiing in the Alps. It comes true, but the sudden avalanche knocks you down and you suddenly find yourself lying on the snow, on the edge of the abyss ... and now let’s go investigate what’s what! Here location of Hidden objects appear out of clear sky! Incidentally, it is worth noting they are made well, just wonderful! Firstly, they are where they should be according sober sense: this thrown out of the bag things or cluttered barn with useful items. Secondly, all items to the exclusion of are drawn up to detail, and, thirdly, they do not merge with each other, that is making them easier to find. By the storyline you have to overcome many dangers and sharp turns, so be ready! Here and there you will come across a fat rat, or hamster, in any case, this small rodent is getting on my nerves! So keep it in mind, my friends! By all means you need to find a way home, and to reveal the secret of ghosts helping you in the abandoned ski resort at the same time. We can not keep silent about the graphics of the game Phantasmat: Crucible Peak. It is striking with its dazzling shine. I assure you, the snow sparkles are like real ones! Everything is of large volume and extremely colorfulness. Little house, snowy paths, common types of landscapes - everything is painted with a soul! Add to this fact good music, which varies depending on the rotation of the plot, and you get the perfect duo! 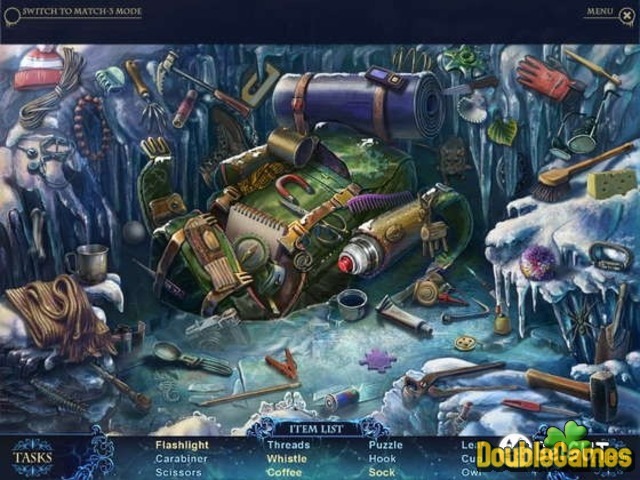 We should not forget amazing story, good scenes to find hidden objects, which, by the way, you can change with the game Match three (with charming characters of the New Year), powerful puzzles and funny mini-games. Total super octet is for you! I will not reveal all the secrets of the game, so as not to spoil your fun: You definitely should see everything by yourself! 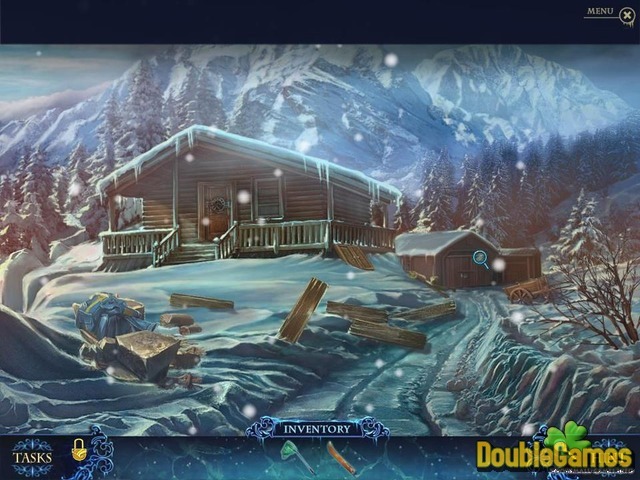 The game Phantasmat: Crucible Peak in the genre of Hidden object and Adventure will delight you with an interesting storyline and excellent gameplay. Choose your level of complexity and let’s go!